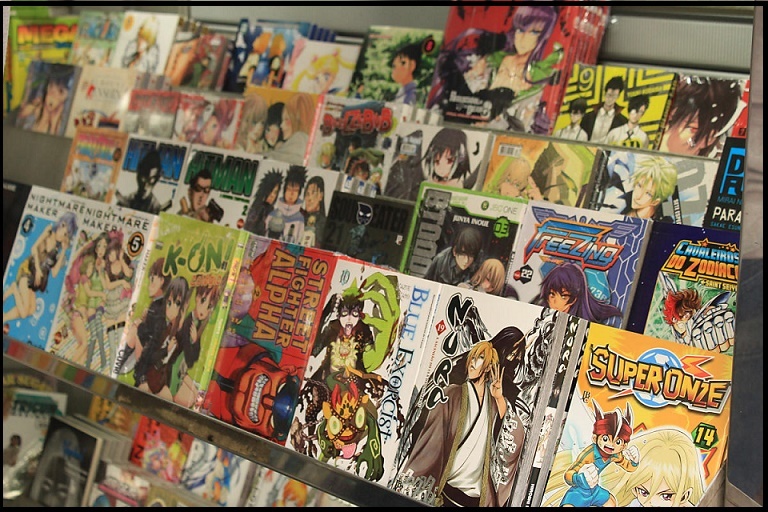 Japanese comics (manga) and cartoons (anime) are loved all over the world. There are many people who became interested in Japan because of manga and anime. There are more tourists these days who come to Japan wanting to go to Akihabara or wanting to participate in anime conventions. Do you enjoy Japanese manga and anime? Here is the overseas top 50 of the most popular manga and anime! Though old comics were ranked for a Japanese more than 30 years, I was surprised! There are many girls’ comics! The dragon ball is characteristic of there being many people seeing it on TV than comics. To be frank, the work which does not penetrate that much in Japan. Comics, the animation which was published serially by a weekly young magazine from 2000 – 2002. Filmization, a game became the social phenomenon in becoming it animation in Japan. It is a famous work of the long piece adventure! This is the fiction which I did on the stage of early Japan in the Meiji era. But an organization and the events that existed such as Shinsengumi are incorporated well! It is the atmosphere such as the historical drama for evolution of Japan. There is the country broadcasted with a title called “Samurai X” by the animated version. It is a cumbersome work, but will be a view of the world that even an overseas person is easy to read! Popularity seems to be high in Europe in particular. In the overseas review, a story is appreciated. The genre that is more individual than overseas comics will contain these comics. Comics of some Otaku origin. The girls’ comic which was published serially in “a flower and a dream” from 1998 – 2006. The Japanese comic which is recommended for a beginner. I can read in the WEB comics site. This work has high popularity by the animation. I can see it in British cable TV and NETFLIX! It is popular from overseas Cosplayer! Popularity is high in an adventure thing of the weekly boy jump. In addition, this work is popular among Cosplayer, too! The samurai may be a point becoming higher of the admiration abroad! This work was placed in the weekly boy jump for approximately 15 years and concluded in 2014. All 700 episodes, books are graphic novels more than 70, too. I am sold in countries more than 35 and publish it more than Part 100000000 only in foreign countries! It will be a popular reason that a theme is a ninja. 1　Death Note by writer/Tsugumi Oba picture/Ken Obata. “Death Note” that the person dies when I write the name. The confrontation of a boy possessing this notebook and the world’s best excellent detective. Filmization and dramatization are done, and even a Japanese becomes the extreme popularity work. I wrote the name of a friend and the teacher in Death Note which I made by oneself in the United States, and there seemed to be the news to be removed! By the way, was your favorite Japanese comics, animation ranked? The comics of the theme are foreign countries, and a “ninja” “samurai” seems to be easy to become popular basically. I am glad when I have Japan be interested even from comics and animation! In addition, I think that it is wonderful to come to like the same thing across a border!